Wednesday, September 28th, 6:00 - 8:00 p.m. This Berkwood Hedge annual author event is a beloved tradition of celebrating the art of writing, books, and creativity. This year's presenter is award winning children's book author and illustrator, Jon Agee. Jon Agee is a prolific author and illustrator with a brilliant mind for word play and humor. 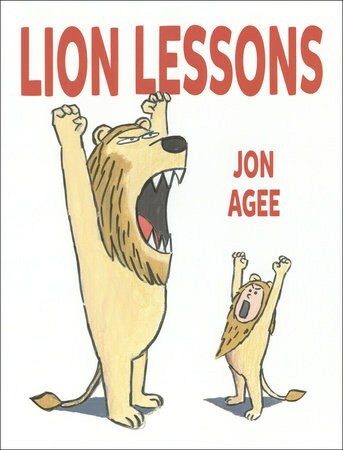 He will be presenting Lion Lessons, his most recent book which has received four starred reviews. Following an interactive presentation with drawing demos, students are invited to ask our presenter questions about his creative process, including how he gets ideas, how he approaches editing, and what inspired him to become a writer/illustrator. Sponsored by the Library Committee, light dinner fare and baked goods will be available for purchase from 6:00-6:30. The Library Committee will hold a raffle–winner gets to pick one of Agee's books for keeps, and we will be selling his books, which he will sign after his presentation. All proceeds from this event go toward the library committee's annual budget and helps keep our library stocked with books our students want to read.